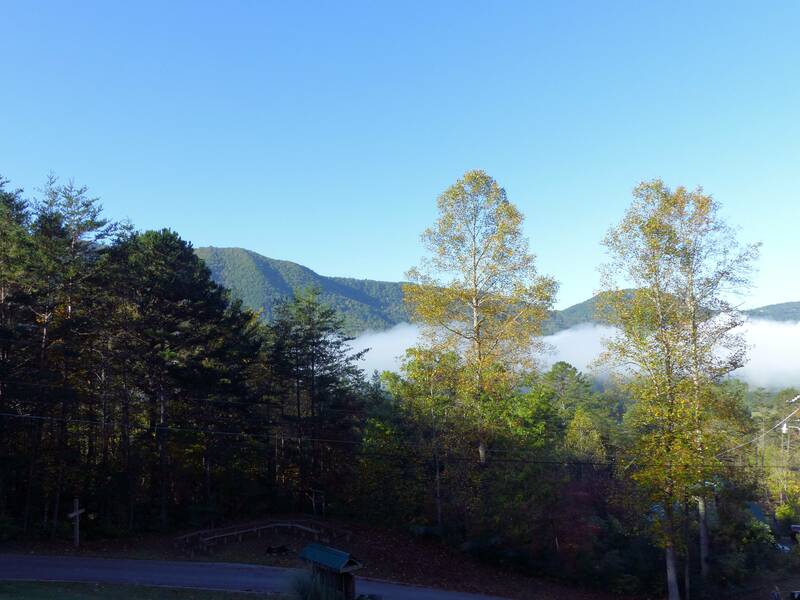 We just spent four nights at the at Tuckaleechee Retreat Center in Townsend, Tennessee. They call it “Fellowship in the Smokies.” We were at the edge of the Great Smoky Mountain National Park, near Pigeon Forge and Gatlinburg. Those two towns are very “tourist” minded and have many attractions that have little to do with the beauty of the area. It is hard to see the commercialization of such a beautiful area created by Our Lord. The Tuckaleechee Retreat Center is the national headquarters of the Children’s Bible Ministry. They open up a couple of weeks this time of the year for visitors, like a big group (13 couples) from our church and a few from other churches. We are fed a fantastic breakfast, have an informative time and then are free for the rest of the day. Dan and I went into Gatlinburg to the Roaring Fork Auto Nature Dive to see some birds. 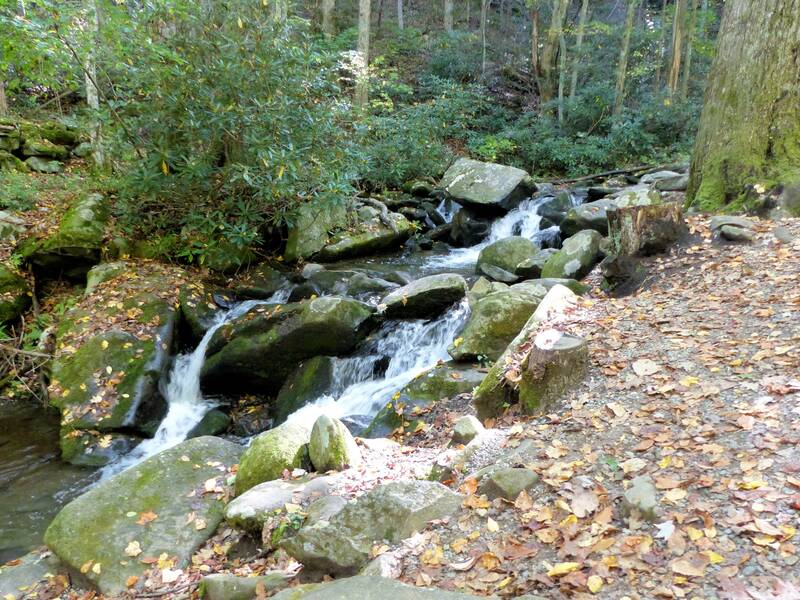 One turkey seen, one Pileated Woodpecker heard, and a small waterfall later, we finished the drive. Cars and people were everywhere and needless to say, we were somewhat disappointed. Back at the Lodge, we had great fellowship with our friends and some new ones we met. We ate out at some nice restaurants with our friends and just had a relazing and enjoyable time. The roads are very curvy in the mountains and I said, “I’m not going back over those mountains into Gatlinburg or Pigeon Forge again.” It was hurting my back somewhat. The next morning, I was told about Parrot Mountain, with lots of Parrots. Other birds also. Run by Christian people and from a “Christian Perspective.” Have you ever heard of “eating crow”? Well, I swallowed my words and went. :) Am I glad we went. Taken Friday morning before we all left. 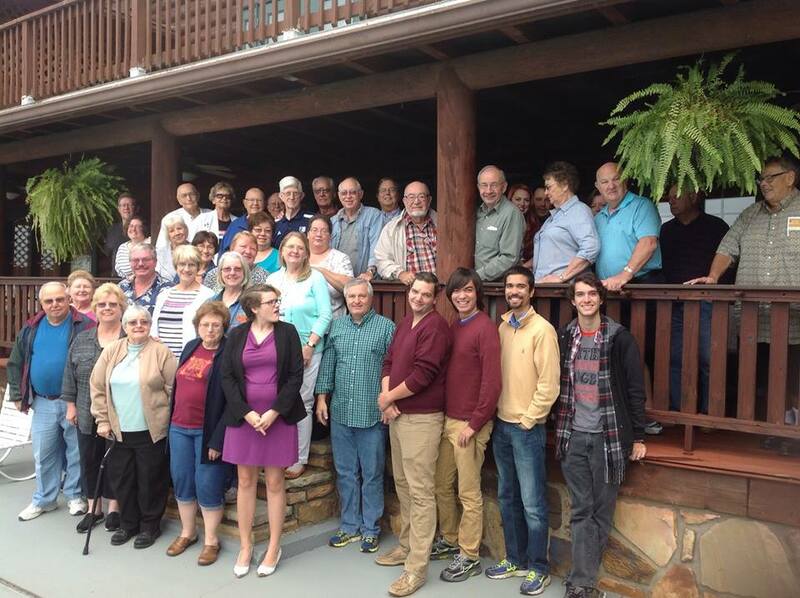 Fellowship in the Smokies — at Tuckaleechee Retreat Center. 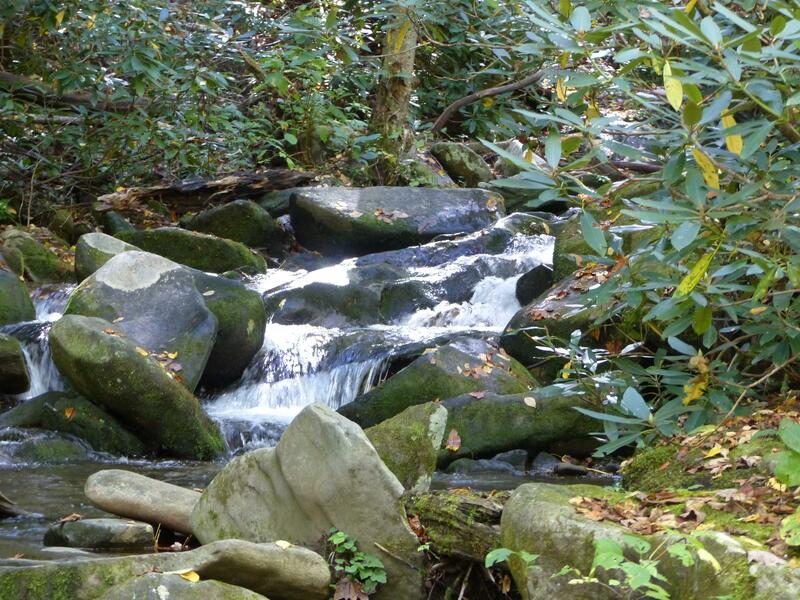 This entry was posted in Birds, Birdwatching, Christian, Interesting Things and tagged Children's Bible Ministry, Fellowship, Great Smokey Mountain National Park, Pileated Woodpecker, Roaring Fork Nature Drive, Tuckaleechee Retreat Center, Wild Turkey. Bookmark the permalink. Lovely pictures. So glad you had a good time and that your back didn’t interfere too much.